Based on the UVS model, magnetosphere with a torous-shaped structure, is a nested spheroidal unisonal vortex. From the UVS perspective, magnetosphere is manifested by vortically spinning aetheric jet streams to render its magnetic dipole, and it is impelled by aether vortical motion to vortically form its torus-shaped nested spheroidal unisonal vortex. UVS predicates that magnetosphere is a nested spheroidal unisonal vortex with a torus-shaped structure. 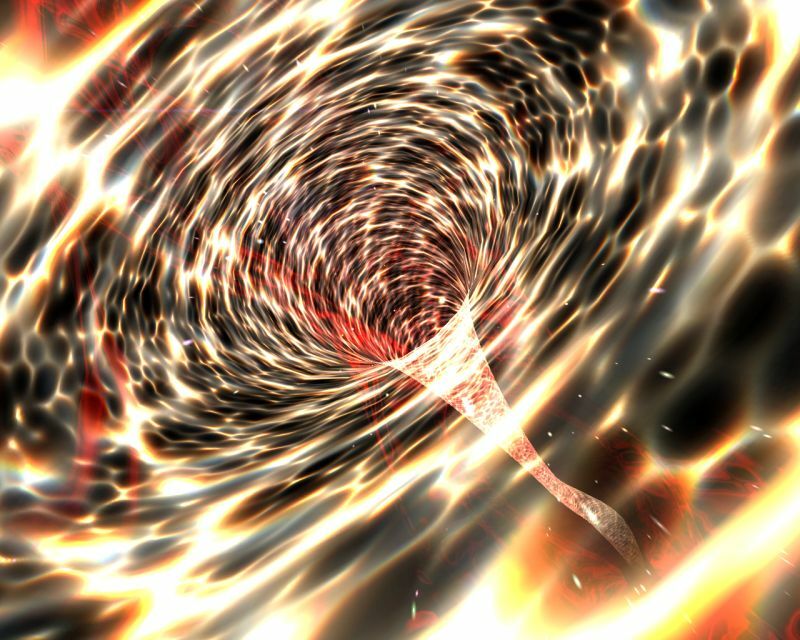 Image on far right is an artist impression of vortex for illustration purpose to show the vortical dynamics with standing waves as vortex rings and longitudinal waves as spiral arms in the accretion disk. 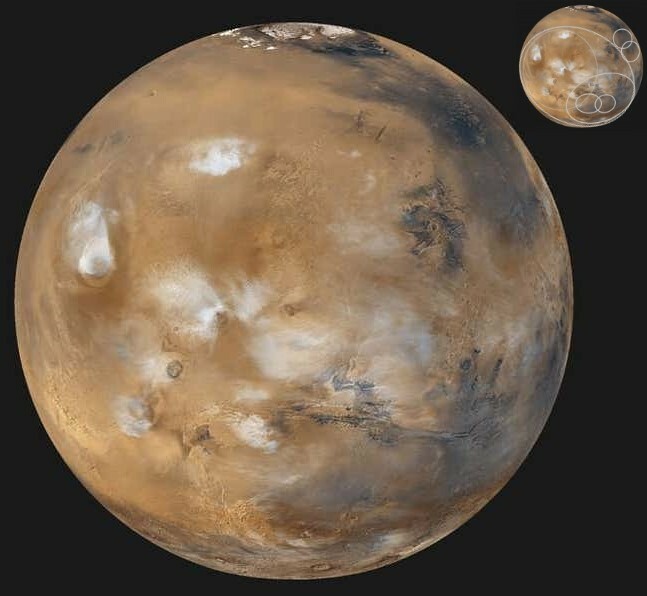 See the UVS topics on "Scientific evidence and proofs for aether does physically exist", and "Galaxy group" that illustrates a hidden torus-shaped nested intergalactic spheroid. "A magnetosphere is formed when a stream of charged particles, such as the solar wind, interacts with and is deflected by the intrinsic magnetic field of a planet or similar body. ", "A magnetosphere is the region around an astronomical object in which phenomena are dominated or organized by its magnetic field. 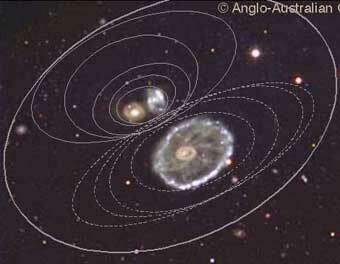 ", "Earth is surrounded by a magnetosphere, as are the magnetized planets Mercury, Jupiter, Saturn, Uranus and Neptune. 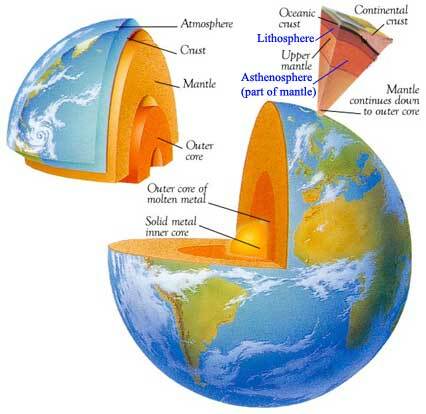 The internal field of the Earth (its "main field") appears to be generated in the Earth's core by a dynamo process, associated with the circulation of liquid metal in the core, driven by internal heat sources.". - Excerpts from Wikipedia in its topic on "magnetosphere". A magnetic force in one inertial frame of reference may be an electric force in another, or vice-versa (see relativistic electromagnetism for illustrations). - Excerpt from Wikipedia. 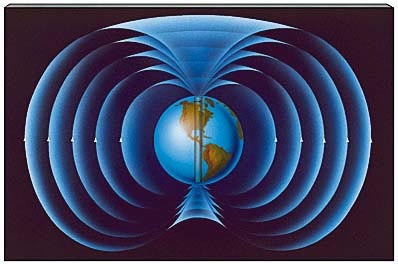 In the UVS worldview, the nested torus-shaped structure of Van Allen radiation belt, suggests it is coalesced by a nested spheroidal unisonal vortex that encapsulates the Earth. From the UVS perspective, solar wind enters the nested magnetosphere of Earth via its nested pair of polar vortexes, and the flow through charge particles are vortically held in the radiation belts. See externally linked topics on "Van Allen radiation belt", " 'Zebra Stripes' in Earth's Magnetic Field Have Surprising Source" that suggests Earth's magnetic field is sujected to precession effect, and "Bow shocks in astrophysics" that elaborates on the bow shock around the Earth. The grounding for its epistemic theories of truth: The underlying structure and mechanism of magnetosphere as explicated with its hypothetical construct based on the UVS model, elucidated its delusional observation that renders its misconceptions. Thus, its cognitive paradox could be meticulously resolved, and all the related natural phenomena were then qualitatively analysed in the conceptual frameworks of UVS by inductive reasoning for explicating with their empirical evidence to predicate by abductive reasoning. Based on UVS model, magnetic field is vortically coalesced atheric jet streams of laminar flow in vortical harmonics of progressive angular phase emanated from a magnet. It is vortically coalesced by an inviscid medium that vortically spin and resonated in the frequency spectrum of its aetheric field. In the UVS worldview, a magnetic field line is a cyclonic aetheric jet stream of a specific wavelength, which vortically flow around the nested torus-shaped magnetic field structure of a naturally magnetized celestial object. UVS predicates that a magnetic field line is a vortically coalesced aetheric jet stream of harmonic laminar flow in vortical harmonics of progressive angular phase. See the UVS subtopics on "Electron vortex" that elaborate on the causality for the electric charge of an electron, and "Vortical elementary and subatomic particles" that elaborates on how vortical motion of elementary particles renders cyclonic and anti-cyclonic aetheric jet streams. 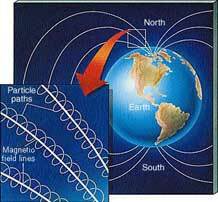 See an externally linked topic on "Earth's magnetic field" for its mainstream elaboration. In the UVS worldview, the nested torus-shaped structure of Jupiter's magnetosphere, suggests it is coalesced by a nested spheroidal unisonal vortex that encapsulates Jupiter. From the UVS perspective, the Io's flux tube is an aetheric jet stream, it is supposedly transformed by its horizontally consolidation from a ring torus structure of Jupiter's magnetosphere with a vortically coalesced Io. The Io's plasma torus, is supposedly a ring torus structure that was manifested in the nested spindle torus structure of Jupiter's nested magnetosphere. Io's flux tube and plasma torus. By Professor Kenneth R. Lang. See the UVS topics on "Jet streams" that elaborates on how an atmospheric jet stream is manifested by its underlying free vortex, "The structure of the observable universe", "The structure of galaxy", and "The vortically manifested planetary orbitals" that illustrates orbits are rendered by transferred vortical motion. the outer core of liquid nickel-iron. gaseous vortices and magnetic storms. Based on UVS model, the Solar System is impelled by its harmonic stellar vortex system, and with the barycenter motion of Solar System objects, it can resonate to manifest a vortical gravitational singularity in the stellar vortex of the solar system. From the UVS perspective, once in a rare occasion when Earth enters and exits a manifested vortical gravitational singularity, its field effect can cause the magnetic field of the Earth to be twisted, flipped, twisted again, and then gradually revert back to normal. UVS predicates that the geomagnetic reversal of Earth is caused by the field effect of a prominent barycenter manifested in the Solar System. And satellite vortices manifested in the liquid iron outer core of the Earth, could cause the magnetic declination of its magnetosphere. Watch a video clip on "Primer Fields" that illustrates with an ingenious plasma experiment at 10:20 of the video clip, it illustrates a plausible structure of magnetic field for celestial objects, and demonstrates a mechanism for how a magnet with its magnetic field can be flipped when it enters and exits the Flip Ring. 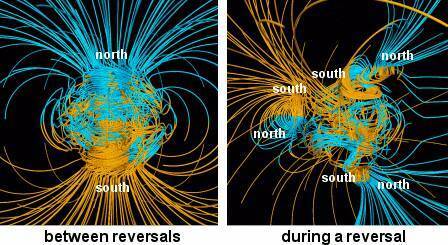 See an externally linked topic on "Geomagnetic reversal" for its relevant mainstream elaboration. See the UVS topic on "Satellite vortices of Jupiter" that evidently illustrates vortices have had formed deep inside Jupiter. 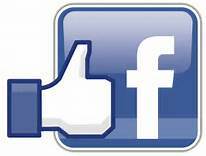 ~ With thanks to anonymous for his private message (on April 3rd, 2014) that links to the report on " 'Zebra Stripes' in Earth's Magnetic Field Have Surprising Source". Inception in Apr 2008 and revamped in June 2014.